Want to be part of our awesome store? Do have a link or just something cool you think would fit with us? Then send us an email and we will talk about getting your link on our site. Central Illinois' leading web development and graphic design company. Learn about the businesses, restaurants, and the events that are happening downtown. Celtic Mist Pub is a home away from home for locals and visitors alike. The atmosphere has a touch of nostalgia, yet it is an alluring new rendezvous for today's modern crowd. The Rock Shop was established in 1984 by a well respected and well known local musician. It soon exploded into a very popular local shop who was known for having top notch guitar gear and having a knowledgable staff who could repair what they sold. The Decatur Blues Society was founded "To Promote Awareness and Appreciation for the Blues, Through Support, Encouragement and Education." 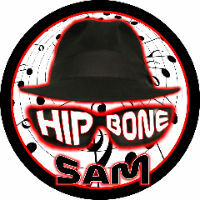 Hipbone Sam, based in Springfield, IL, is Kevin Hawkins, the former lead singer for Last Chance Blues Band and Jack Flash. Hipbone's musical style is rock, blues, comedy and a touch of country. Gypsy Collabo is an entirely unique experience rooted in the possibilities that come with an open mind and a desire to experiment. A completely live group, they maintain an aesthetic that allows them to have a modern pop appeal while backing it with the knowledge and chops of an old school band.